Life is fraught with everyday risks that we accept in order to fulfill our lives. Being Christians in the hands of a loving Father does not guarantee immunity from trials, but we should not let risk paralyse us. The people today who change our world see risk as opportunity. Considering the task God has given us, we have to become comfortable with risks great and small. The Bible tells of many who took risks and trusted God despite the odds; their steadfastness changed history and advanced His kingdom. Risk and faith run side-by-side from Noah to Peter to Luther to George Verwer, Bible smugglers, overland trips to India, a ship team praying six years with no ship—we are surrounded by a great cloud of witnesses (Heb.12:1), so let us run the race set before us! The Bible tells us that “His divine power has given us everything we need for a godly life through our knowledge of Him who called us by His own glory and goodness. Through these He has given us his very great and precious promises” (1 Pet. 1:3, 4 NIV). If this is true, shouldn’t we be taking more risks individually and as a faith community? Throughout OM’s history, risk-taking has been ‘Standard Operating Procedure’ and part of our DNA. The real threat today is if we erect excessive barriers and processes that cripple our ability to risk. It is OK to take risks and make mistakes in the effort to further the Kingdom, because mistakes have far more to teach us than successes. In OM’s early decades, we became known for working with high-risk colleagues who were impulsive, eccentric…and influential. Many ‘unique’ characters had great passion for God’s kingdom and made a lasting impact on world missions. I wonder how many of them (or us) would be accepted into OM today—or would want to be. Many of us would never have developed in leadership if our own leaders hadn’t taken risks with us. They not only saw what was but what could be: rough diamonds worth polishing. Our story reads, “no place too far, no task too difficult, no idea too crazy, and our mistakes did not stop us.” If we choose a path of risk aversion, that will inevitably be the end of OM. Of course, we need to mitigate unnecessary risks and screen potential recruits to avoid pain and danger on our teams in sensitive places. However, policies and practices should not take precedence over spiritual discernment. We need people who are ‘different’ to help us think outside the boxes we have made, to be ever-pursuing better ways to grow in effectiveness and to set the pace. A handful of people like Ray Lentzsch and Mickey Walker shaped our movement’s evangelism and street ministry worldwide. Their passion infused generations who followed. as leaders, limiting our ‘veto power’ and control of something that team members can develop without us. Leadership isn’t about wielding power but rather empowering others. Our own readiness to take risks may be the greatest gift we can give our people. As an organisation, let us stay focused on our mission and strive to recognise more opportunities with a spirit of innovation and discovery that includes genuine risk, because avoiding risks by trusting in our own experience suppresses faith. A willingness to fail through risk-taking is more honourable to God than hiding our talents and thinking that is good stewardship. Every year, dozens of outreach teams trek, cycle or raft to some of the least reached places, sharing God’s love through campsor visiting the poor and neglected, bringing material help, encouragement and hope. The teams were amazed at what a visit meant and what appreciation was shown. Some hesitated to accept prayer, because their tradition had taught them they had to pay for it. “One lady told us she wanted to have Jesus in her heart and home but did not have enough money to pay the priest to pray for the home,” one participant explained. When the team offered to pray without payment, and shared that they themselves could come to God in prayer, they were very happy to accept the offer. Many teams saw how their visits brought change. Change for the grumpy man who later sat with a smile on his face, reading the Bible they had given him. Change for the lady who told them she wanted to die, but by the end of the visit had trusted Jesus and declared that she now wanted to live for Him. Pray that these responses will lead to the building up of God’s church. From trying to survive each day to leading the community in bringing development, the members of a Self Help Group (SHG) in the village of Katete are being transformed. “I couldn’t recognise them when they came for follow-up,” said Golden Kateya, SHG coordinator. Katete, located in a remote area along Lake Tanganyika, is a nine-hour boat ride from the main Zambian port. The OM team started a SHG in 2016 among its most vulnerable women. It meets twice a week to learn how to associate with people, use resources around them and incorporate the Word of God into everything. During training, Rose was identified as a good leader and began leading a group of 17 women so that the facilitator could start other groups. Later, Rose experienced bad stomach pain. In the village there is no clinic. Rose’s pain got worse and she had no choice but to get medicine from a man in the village who charged more than she could ever afford. When the ladies heard Rose’s story, they contributed funds from money pooled to help start businesses. The incident triggered thinking about community development and now the group wants to build a clinic for the village. 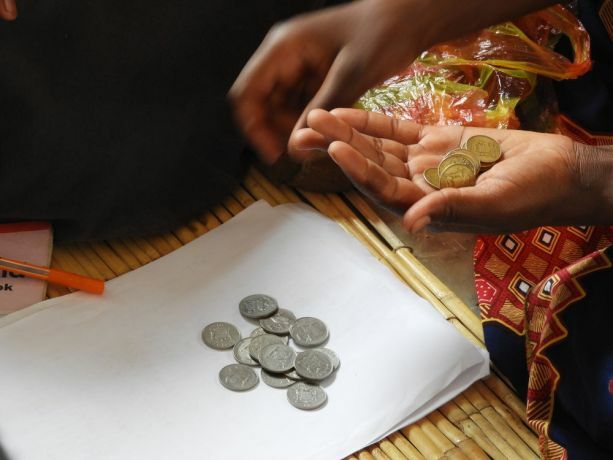 Using the money saved throughout the year, the group has started other projects to benefit the community such as digging a well and buying a boat. “Before, they could only focus on themselves and barely managed to survive, but now these ladies play a big role in the village. Their unity is beautiful,” said Golden. All the ladies can now provide three meals a day for their families and their children are all in school. Along the lakeshore, lack of empowerment contributes to malnutrition, early marriage and forces children to quit school to look for work. The SHGs address these issues and progressively empower communities at individual, family and community levels. 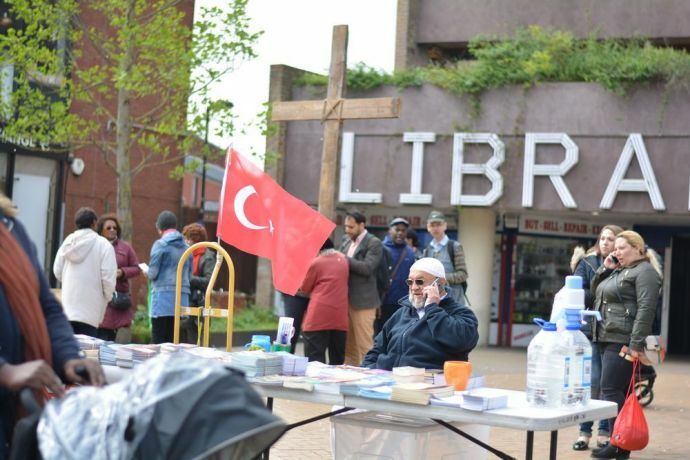 “There are hundreds of thousands of Turkish speakers in the UK, and only one weekly [Turkish-speaking] church that we know of,” says Deniz, an OM worker among Turkish people. Such a significant population of unreached people presents a great opportunity for sharing the gospel, but there are hurdles: many immigrants struggle to find jobs and are forced to work long hours to support themselves. This leaves little time for rest, let alone spiritual exploration and growth. Among the few Turkish believers, Deniz finds that many come from shaky theological backgrounds. Deep-rooted misconceptions can make it hard to sustain themselves spiritually. “So we are building them up to study Scripture for themselves, so they are able to teach others,” says Deniz. In spite of obstacles, the gospel is changing the lives of both believers and non-believers: Multiple Turkish fellowship groups meet regularly, and there are plans to plant another church in 2018. OM sent some Turkish background teens to TeenStreet, where they could encounter God in an international community of young Christians. Although the young people are enthusiastic, inviting non-Christian friends to meetings, Deniz shares that they are praying for leaders to invest in the youth. The work can be slow, according to Deniz, and it takes a lot of time, energy and visits. Pray for spiritual growth among Turkish believers in the UK, so they can share their faith with family and friends. When David and Samuel first entered the remote village, it was difficult to live there and share the gospel. “It took many hours of trekking to get there, the food was very different, and the language was sometimes hard to understand,” said David, a local OM worker. One day, five men entered the village and asked to stay with the OM workers for the night. While it is common to welcome strangers, David and Samuel felt uncomfortable by the men’s behaviour. One man explained that they actually came to kidnap Kavita*, a teenager, to take her to their village to marry one of them. Forced marriage is very common and accepted in villages, as young girls are physically taken against their will by any man interested in marrying them. The OM workers knew this was not God’s way for love and marriage. David explained to the men that, “Females are not like animals, who you can force to do what you want. They are humans not be taken against their will.” Samuel then showed them from the Bible the purpose of marriage. After this, the men immediately said they would not kidnap Kavita. David and Samuel were surprised, but they did not fully believe them. “We woke up early the next morning and saw that the men had left. When we went to see if Kavita was home, we were once again surprised, but very happy, to see that she was,” David said. David and Samuel explained everything to Kavita and how God had saved her. Kavita took some time to think about the truth that God is real and then decided to follow Jesus and be baptised. Some days later, David and Samuel met the same man who had wanted to kidnap Kavita. He began telling them how his heart had been changed, that he was heading down a bad road and his understanding was wrong. “I really believe what you said, and I want to know more about Jesus,” said the man. 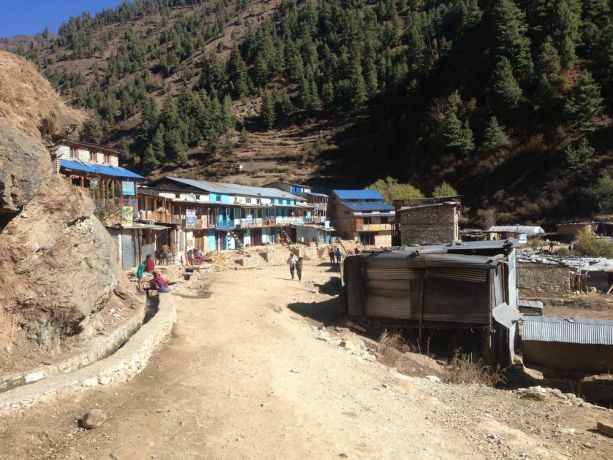 Many people in remote villages have a very unhealthy view of marriage, love and relationships. Through the word of God, OM continues to equip workers to enlighten societies on God’s love and its power to develop healthy marriages, and transform lives and communities. Pray for godly change in countries where girls are forced into marriage from a young age, and people who believe that forced marriages are good. 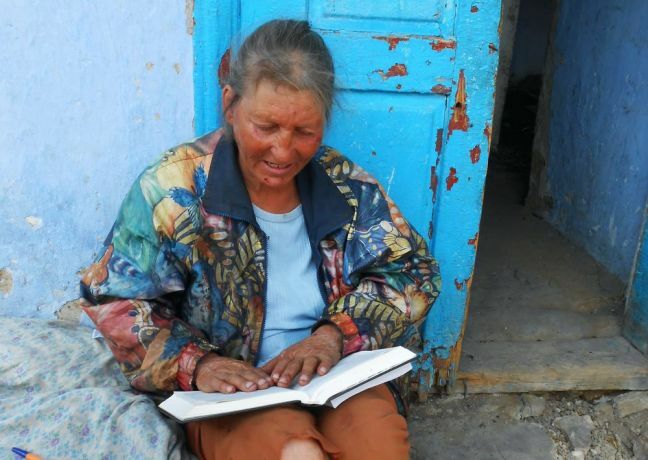 Also, pray the word of God would reach these people, and their hearts would be open to truth. COLOMBIA: ELLOS SON COMO TÚ! Logos Hope has begun a new phase of ministry in Latin America, sharing the vision of OM on shore throughout the region. The ship’s presence on the continent for the coming two and a half years will be a platform for the ‘Ellos son como Tú!’ (They are like you) initiative. The slogan is backed by a mobilising campaign to encourage missionaries from Latin America to take the message of the gospel to parts of the world considered least reached. OM aims to train and send 2,000 Latinos to specific mission fields over the next ten years. Alex encouraged Logos Hope’s community: “Our job is to make sure that we are faithful witnesses. You are on this ship because you received that calling and you believed the Great Commission. Your story—the fact that you are here and that you boldly obeyed the calling—is enough for you to speak into somebody else’s life and say, ‘You too can go.’” Events on the ship will be tailored to encourage Christians to consider mission for themselves, and to help churches understand how to raise funding for and ongoing support to missionaries. Already, OM has received hundreds of enquiries about joining and pledges of financial support from Colombians.